To celebrate the re-opening of Brick Lane’s All Star Lanes they’re offering a striking deal. The popular chain are giving you a chance to eat and bowl for 50% less until this Friday. The new boutique bowling alleys have undergone a mega refurbishment, taking inspiration from the surrounding area. There’s a transformed restaurant layout, slick new cocktail lounge and ‘The Penthouse’ – a private space that draws inspiration from the starlit roof terraces of Manhattan. There’s two bespoke murals from acclaimed East London-based street artist Zabou, known for her bold and thought-provoking pieces across London. All Star Lanes has also commissioned an art installation using discarded and disused pins. 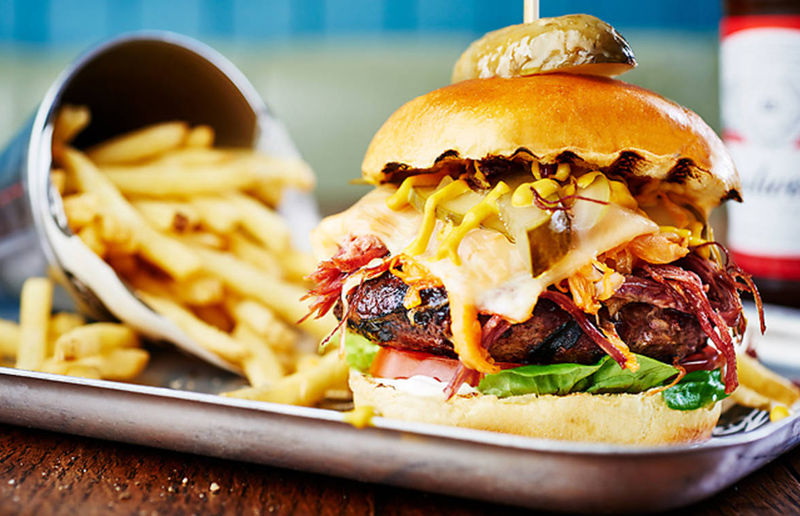 To celebrate, there’s 50 percent off bowling and food from Wednesday to Friday this week, with tasty options including their NYC Deli Burger with homemade salt beef, Swiss cheese, dill pickles and spicy ‘kimchikraut’. There’s also plenty of booze, including a new Brick Lane expresso martini with chilli liqueur. Don’t worry either, if you can’t make it down this week, there’s also 25 percent off next week from February 15 to February 17. Christian Rose, Managing Director of All Star Lanes, commented: “We’re so excited about the refurbishment of our Brick Lane venue, which reflects our ongoing investment in the All Star Lanes brand experience. 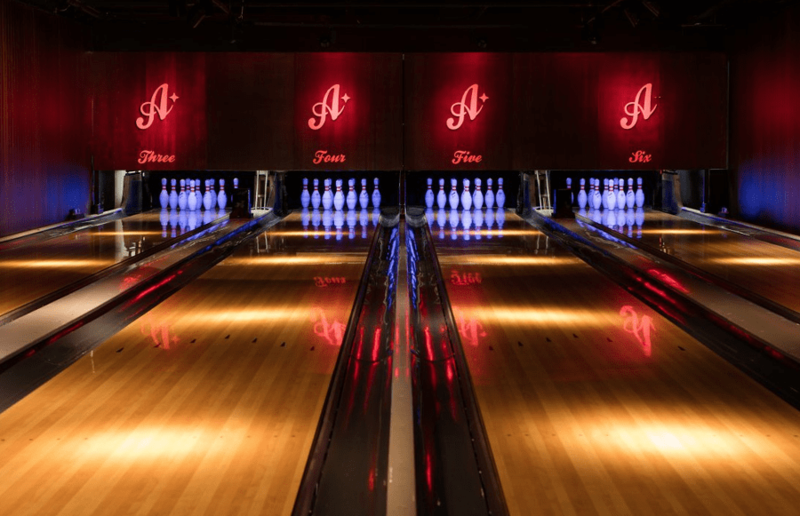 Since launching the original venue in Holborn in 2006, All Star Lanes has gown opening a further four sites in Bayswater, Brick Lane, Westfield Stratford and Manchester. All Star Lanes Brick Lane is based at Spitalfields Arts Market, 95 Brick Ln, London E1 6QL and is opening from 12-12 most days.